The 10.5-inch iPad Pro also has narrow bezels that reduces the borders by nearly 40% to fit into a compact package and weighs 469 grams. iOS 11 that will be coming this fall will bring all-new Files app, customizable Dock, improved multitasking and deeper integration of Apple Pencil. 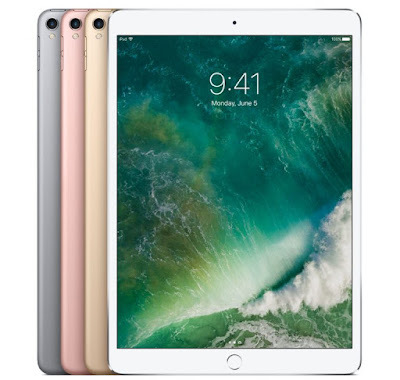 The new 10.5-inch iPad Pro comes in Space Gray, Rose Gold, Gold and Silver colors and is priced at $649, $749 and $949 for the 64GB,256GB and 512GB WiFi models and $779, $879 and $1,079 for the Wi-Fi + Cellular models, respectively.